It is easier than you think to keep your wood furniture looking great – and you don’t even have to resort to toxic sprays. 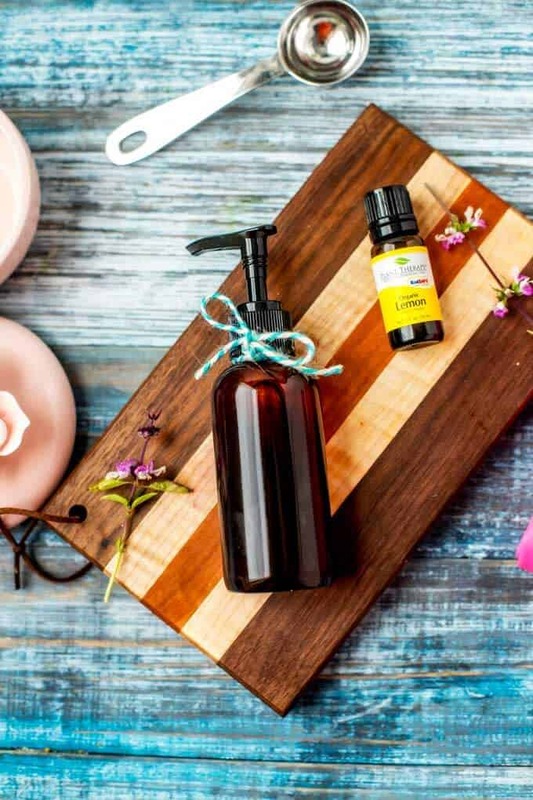 This Homemade Furniture polish has a fabulous fragrance and does a great job of keeping your wood shiny and well moisturized. Once you try this DIY Furniture Polish you will be hooked! Most of us are fairly conscious about what we put into our bodies, but knowing what to do to keep our homes healthy can be a bit overwhelming. Did you know that according to a 2009 study in the Journal Environmental Science & Technology the average home has at least 400 chemicals? Most have these chemicals have never been tested, and many of them are toxic. Repeated exposure to environmental toxins can result in a host of side effects. Some of them include headaches, skin irritations, and allergies. Over a long period, this can even develop into more serious conditions such as infertility or cancer. 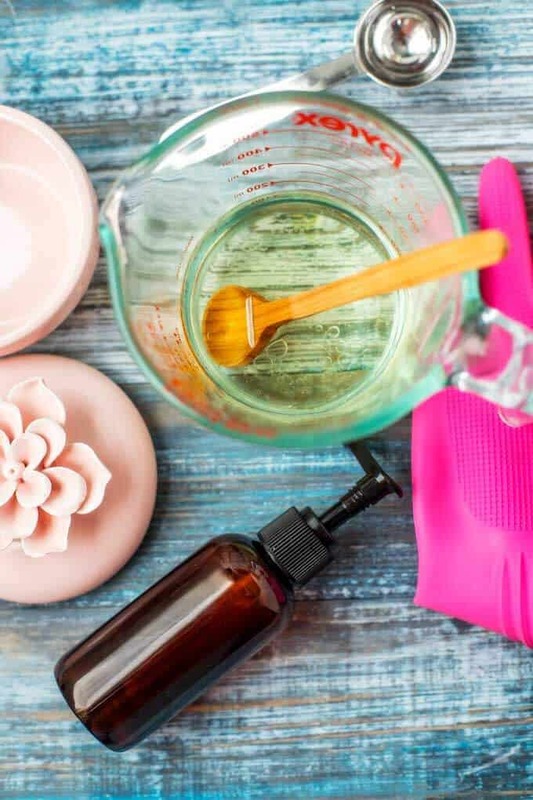 While it is probably not possible for most of us to completely rid our homes of environmental toxins, there are some easy ways we can reduce them. It is possible to buy safe cleaners, but you do need to be conscious of reading labels. There are many products out there that are marketed as “Green” or “Natural,” that are anything but that. One way that I make sure I know what I am using in our home is by making DIY Cleaners, like this DIY Furniture Polish. Now I know – you are super-busy and don’t want to add one more thing to your to-do list. But I promise – it only takes a few minutes. 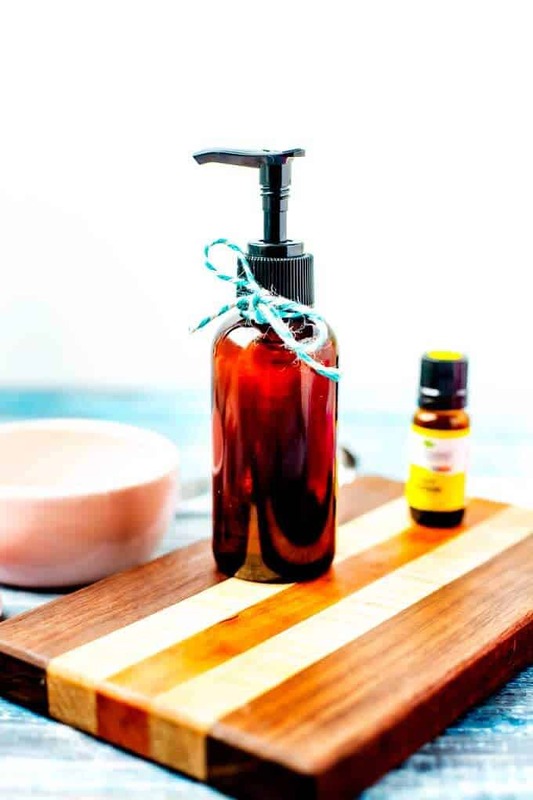 Plus, in addition to helping reduce toxic chemicals in your home, this homemade furniture cleaner polish is a great way to save money. 3.1 How Do You Make Homemade Furniture Polish? 3.2 Can You Use Coconut Oil to Polish Furniture? 3.3 Can You Use Vinegar to Clean Wood? 4 The Quality of The Essential Oils You Use Matters! While it isn’t necessary to us an oil-based cleaner every time you clean your furniture, most wood surfaces benefit from regular treatments with an oil cleaner. This is especially true for older pieces of furniture. How Do You Make Homemade Furniture Polish? 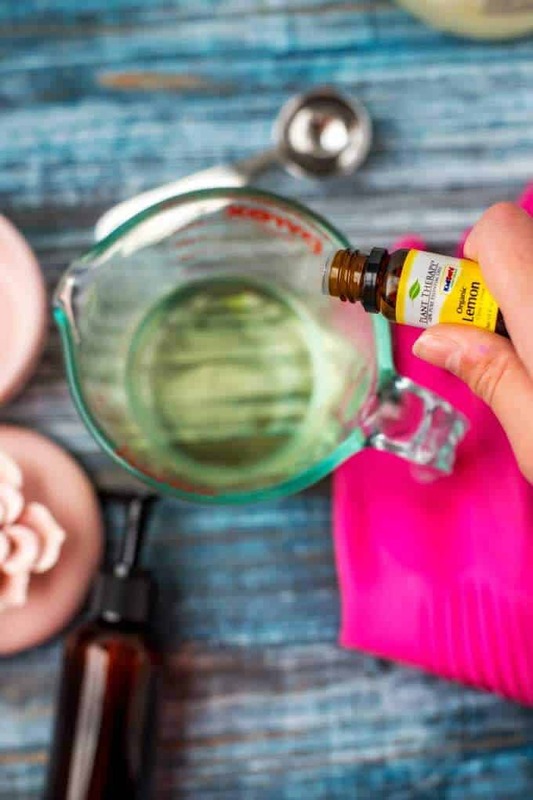 In a bowl combine oil, vinegar, and essential oils. Transfer to an oil-safe container and store for up to one month. Can You Use Coconut Oil to Polish Furniture? Yes! Coconut oil is great to use to polish furniture! 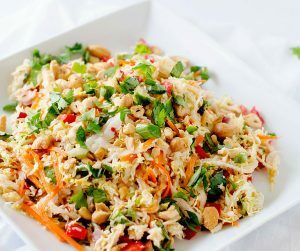 You can use fractionated coconut oil in this recipe if you wish. Or, heat coconut oil over low heat. Remove from heat and stir in remaining ingredients. Transfer to an oil-safe container with a lid. To use, scoop out with a cleaning cloth and rub into furniture. Can You Use Vinegar to Clean Wood? Yes! Thanks to its neutralizing properties and acidity, vinegar is a great way to clean, disinfect and add shine to wood. 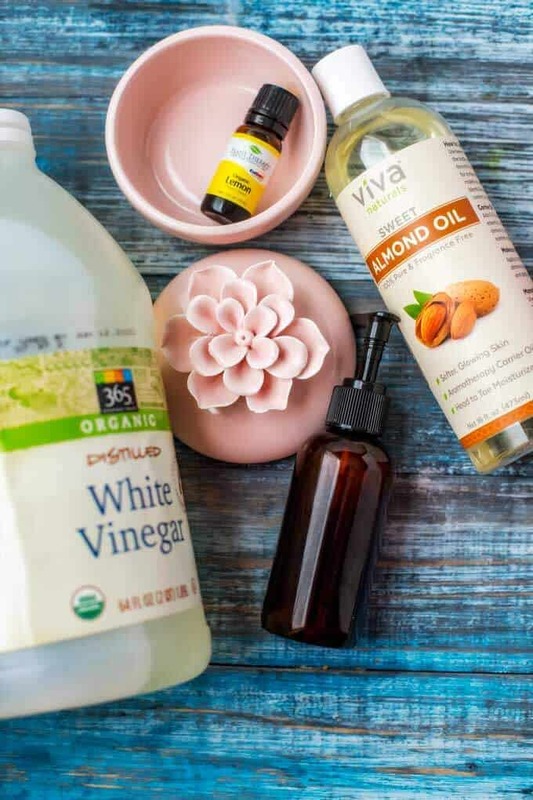 In a glass measuring cup or bowl, combine almond oil, vinegar, and essential oils. To use, squirt directly on the furniture and wipe clean. You should always test any DIY cleaner in an inconspicuous area before you use it on the entire piece. Some essential oils can have a negative impact on certain finishes. I have used handmade polish in the past bought from markets but I have never tried making it myself, definitely something I’ll have to do as I always think it works so well! Oh my gosh, this is awesome! Pinning right now. I totally need this in my life. This is so cool! I would love to make furniture polish at home. I love the ingredients you have used. 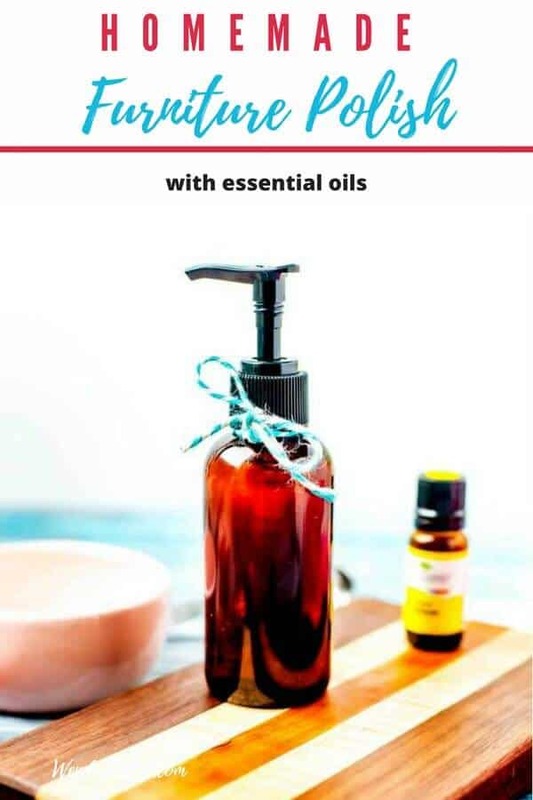 Really like this DIY as I am big fan of essential oils and sometimes I do not what to do with them beyond aromateraphy. I will be making this solution at home soon just need to get the lemon oil. Oh wow this DIY furniture polish sounds incredible. I’ve slowly started to move away from all the generic products and go for more eco/safe products instead. Going to def try this for my furniture. I would have never thought to make this before. I love it! I need to grab these ingredients so I can make some too. This would really be helpful. So true that conventional ones are harmful as they contain toxins! I will have to try this DIY out! We have stared making a lot of our own cleaning products, but polish is one we haven’t tried yet. Definitely trying this. 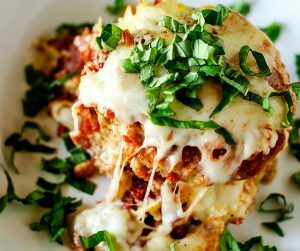 Now this is a really great idea.The best part about this is I already have all of the ingredients! Furniture polish is something that I buy on the regular. This would save me so much money to make myself. Homemade products like this are always so much better than the ones you can buy in the store. I totally need to try this!